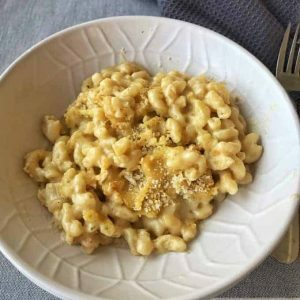 This recipe for one pot slow cooker mac and cheese is super easy and tasty. 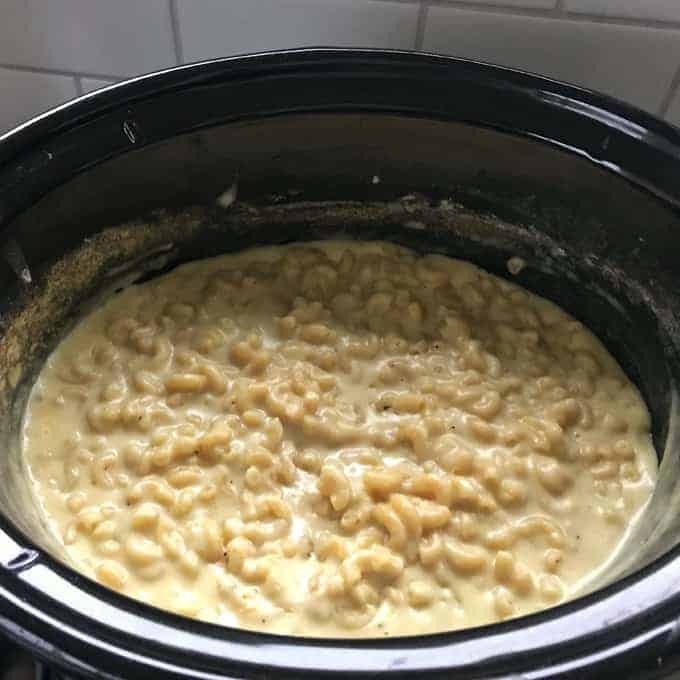 I was craving macaroni and cheese and wanted a simple no-fuss meal I could make in a slow cooker or crock pot. 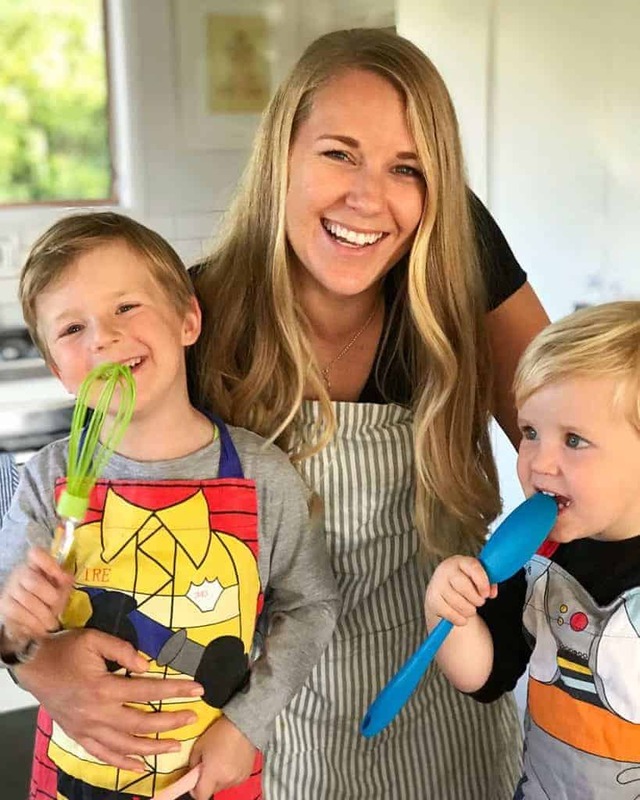 This recipe ticks all the boxes and is so easy to make, you should have all of the ingredients in your fridge and pantry. I used 1 cup of grated mozzarella and 1 cup of colby cheese but you could use whatever cheese is your favourite or what you have on hand. Make sure you stir the mixture every 20-30 mins to stop it sticking to the bottom of the slow cooker. The timing at the end of cooking is crucial to serve it while the pasta is still al dente with a creamy sauce. If it sits too long the pasta will absorb more of the sauce and go quite soft. 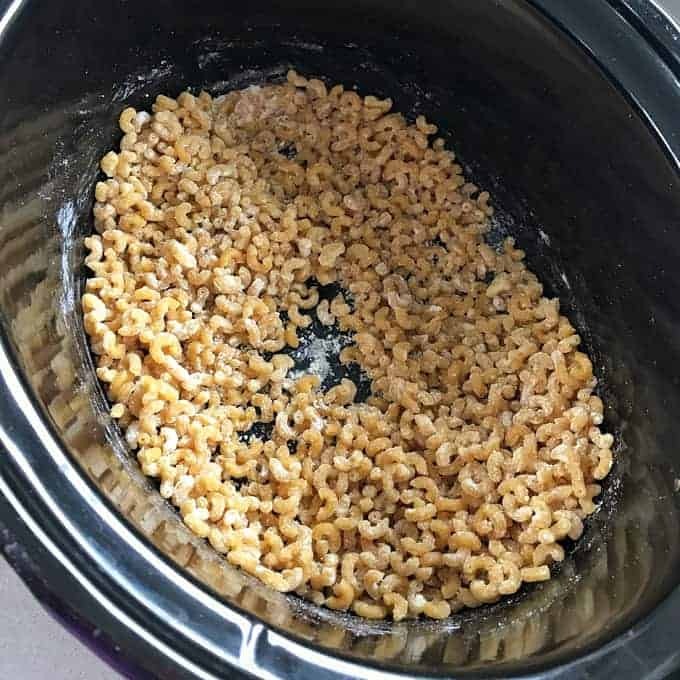 Keep an eye on it and keep stirring at the end because the timing will vary from one slow cooker or crock pot to the next. You could also add some diced ham, cooked bacon or chopped sausage to up the protein in the meal. I wanted to add a crispy topping so put it under the grill at the end with some more cheese and breadcrumbs until it was golden. If you decide to do this make sure your slow cooker bowl is safe to put in the oven under the grill. 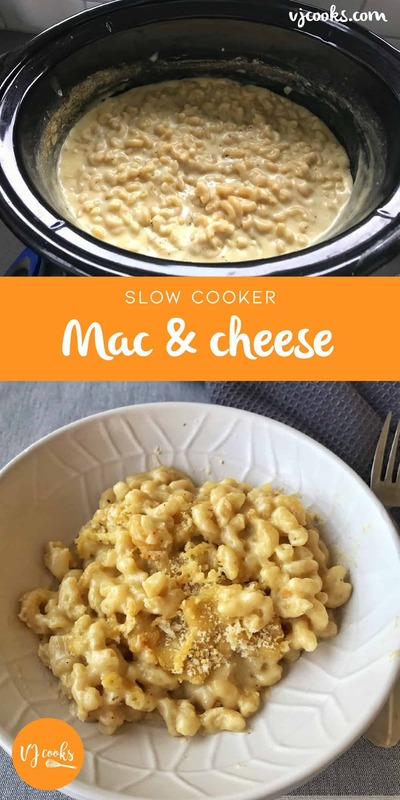 This recipe would be great to take along to a potluck dinner, just under cook it slightly at the end as the macaroni will keep cooking through as you transport it. If you love slow cooker recipes check out my recipes for lamb shanks, chicken curry and chicken soup. This recipe is so easy you just throw all the ingredients in the pot, give it a few stirs as it cooks and you will have a delicious dinner. Add macaroni and melted butter to the slow cooker then sprinkle over flour, stir to coat the pasta. 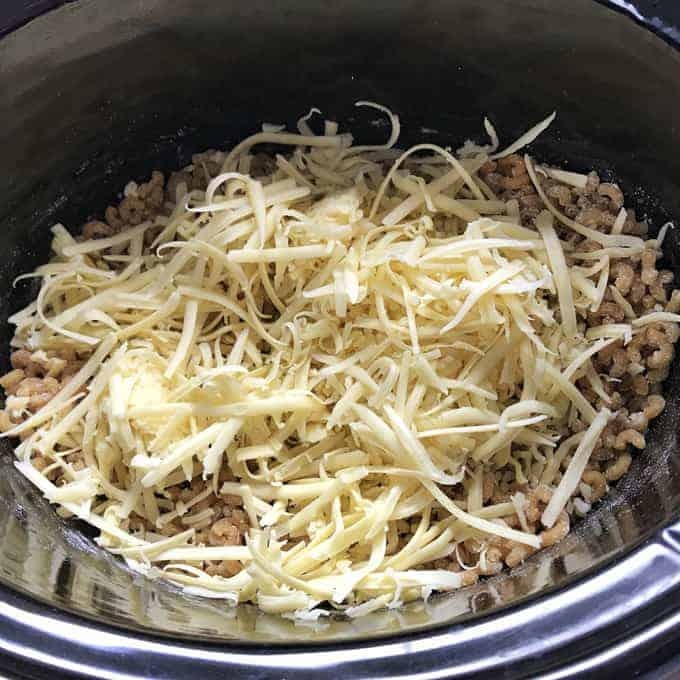 Add the grated cheese, milk and salt then dissolve the oxo cube in the boiling water, pour in to slow cooker and stir everything together. Turn onto high and cook for 1 hour and 45 minutes. Stirring every 30 minutes to stop pasta sticking to the bottom. Check the pasta is cooked al dente and add more seasoning if desired. 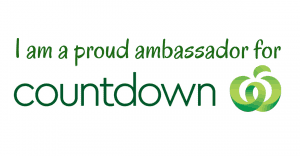 The cooking time will vary depending our your slow cooker so keep an eye on it for the last 20 minutes. 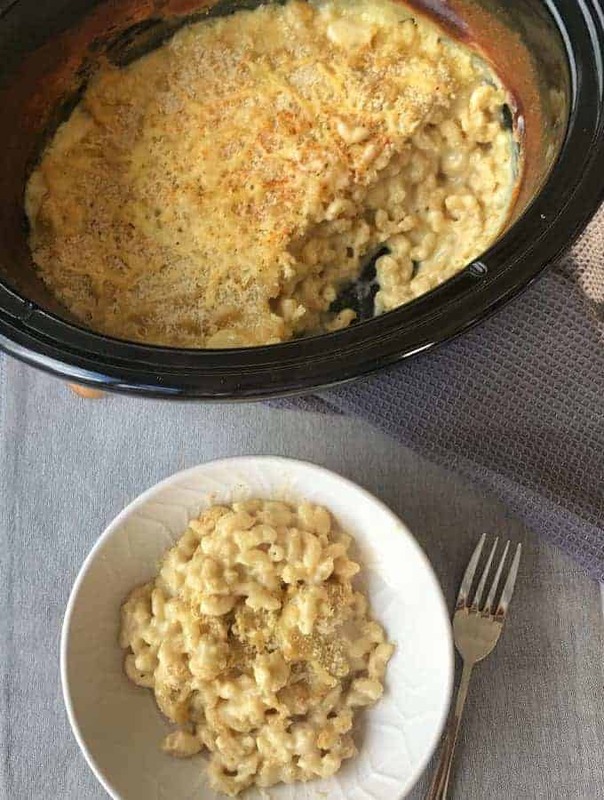 You can serve it at this stage or if you want a crispy topping you can sprinkle over panko crumbs and grated cheese, remove the bowl from the slow cooker and put it under the grill in the oven until it is bubbling and golden.